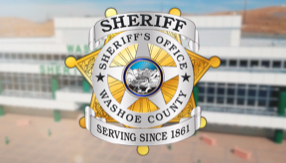 The Washoe County Sheriff's Office offers a variety of opportunities for volunteers. This agency values the volunteers who work with us and assist us in meeting our goal of providing a safe, secure community. Volunteers bring a wealth of knowledge and experience to the agency and they provide a service to the community. Detention: Work directly with inmates to provide counseling, educational guidance, mentoring or religious services. Search and Rescue: Perform search and rescue functions, assists in major events, maintains the fleet of specialty vehicles, conduct CDL training for the department, and provide logistical help to other divisions and agencies. FREE Training: Volunteers receive free training on emergency preparedness and disaster response through the Washoe County Sheriff's Office CERT Academy. This is a free training program providing 26 hours of training over six days. To enroll call Michael Perry, CCP Program Coordinator at 775-325-6928. Rail Auxiliary Team (RAT Pack): Volunteers provide rail safety and security on the many critical areas of rail crossings, tracks, and stations. They are trained in rail sfaety awareness, rail suicide awareness, and recognition of rail threats.